The spirits of old time radio, tent shows, and traveling circuses are visiting Cannon County as "A Vaudeville Christmas" comes to town. Combining comedy, circus tricks, aerial trapeze, juggling, stilt walking, and holiday music, both familiar and obscure, A Vaudeville Christmas is the closest thing you're likely to find to the barnstorming vaudeville tent shows of the early 20th century. 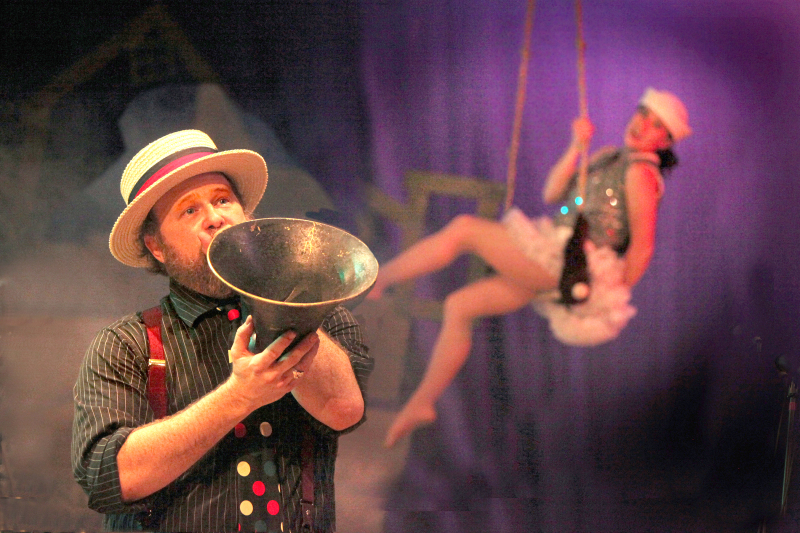 A Vaudeville Christmas harkens back to a time before television when live entertainment meant 'variety show,' with everything from musical saw to juggling rubber chickens and machetes while riding a tall unicycle, all set to a live soundtrack from the sentimental to the surreal. It's the rare show that both tickles the children and teases the memory. At a time when the world seems a-flurry with predictable Christmas plays and pageants, A Vaudeville Christmas offers truly unique holiday fare, a retro-meta extravaganza that draws from the oldest entertainment traditions and makes them live and breathe again. Think "Christmas Story" meets "Walking Dead." Actually, don't. That's kind of weird. But you get the idea. The Jake Leg Stompers, the preeminent Middle Tennessee exemplars of chicken-fried, pre-war, hokum-billy jug music, anchor the show behind the "sweet-as-Sarah-Vaughn, bold-as-Bessie-Smith" vocals of Lela Mae Smith and blues-shouting front man Hambone Willie Nevil.